This amazing sculpture by Damien Hirst was on public display in Monaco during 2010, to promote an exhibition of the artist's work. The anatomical statue was very reminiscent of the iconic Visible Man model kit from the 1960s. 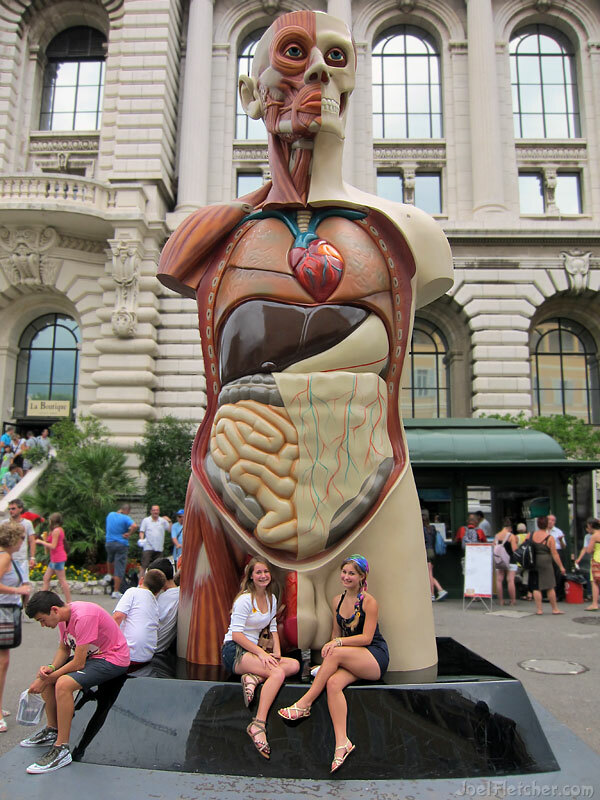 My niece and daughter found it amusing to pose next to an important part of the anatomy for this photo.